Beginning Yoga Series, starts back up Monday, September 17th at 6:15 PM. At Wesley United Methodist Church, 3515 Helena Avenue, Nederland, Texas. This beginners class is $10, where you dress comfortably, bring a yoga mat and learn the poses to assist you in easing your back challenges. I’ve included some research and links for you to pursue into looking into doing yoga for your challenges. Don’t take my word for it, do a bit of research yourself! In the mean time if you have questions, give me a call at 409-727-3177. 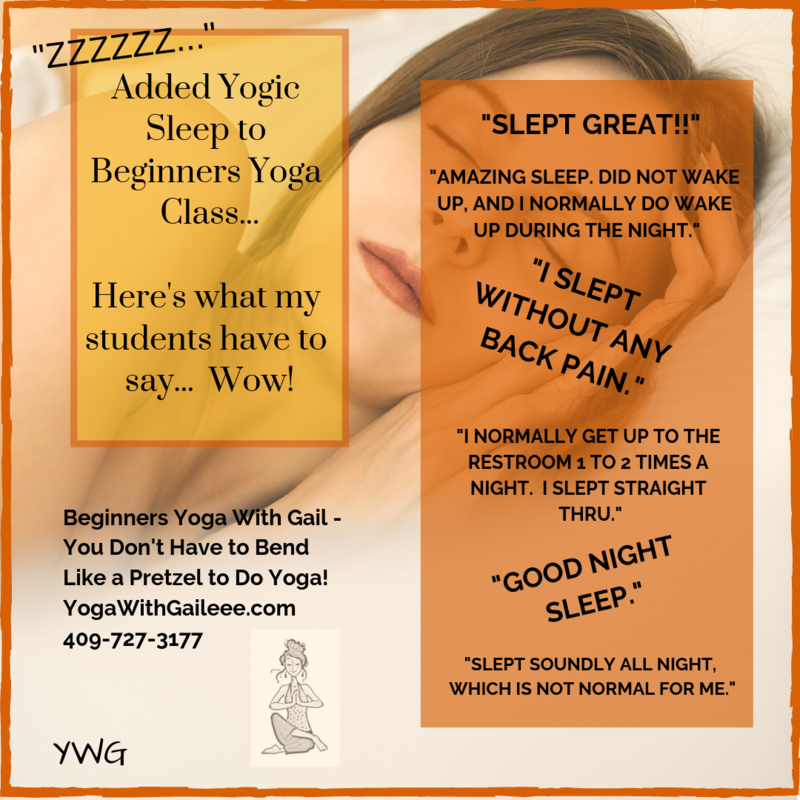 Gail Pickens-Barger International & Registered Yoga Teacher. Over 18 years teaching experience! NPR – National Public Radio reports – study finds yoga can help back pain, but keep it gentle with these poses, as heard on Morning Edition. There are even some guides on this article! Posted on September 16, 2018 by yogawithgaileee. This entry was posted in back pain yoga, Ease Upper and Lower Back Pain with Yoga, Uncategorized, yoga for back pain and tagged Beginner Yoga Series starts Monday September 17 2018. Bookmark the permalink.